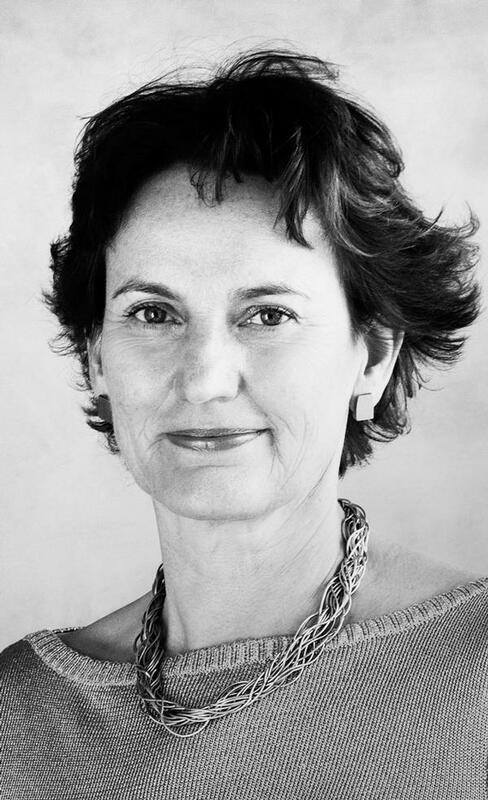 During her career, Houben has hung out with Charles and Ray Eames, collaborated with legendary architects including Álvaro Siza, Alvar Aalto and Toyo Ito, and has worked across a diverse range of projects which cover libraries (including the Stirling Prize-nominated Library of Birmingham), museums, hotels, theatres, parks, skyscrapers and residential projects ranging from single houses to complete neighbourhoods. Houben launched Mecanoo with two friends when she was a 25-year-old student (she studied architecture at Delft University of Technology). They entered a competition to design a social housing complex in Rotterdam, and won. “A year later there was a competition launched by UNESCO for housing of the future. The prize was a trip to Japan, and I wanted to go to Japan, so we entered it and won that too,” she says. During the early days, they worked from Houben’s student sitting room. After winning the competition, they employed another two people, and came up with the name Mecanoo – inspired by the British model construction kit Meccano, and a reference to the playfulness of creating structures. Mecanoo then moved to the back room of a historic building on the Oude Delft Canal which was being rented out to start up businesses. The practice has since taken over – and refurbished – the entire canal house, including some of the neighbouring buildings. Today, Houben leads a team of 160 people from 25 countries in what she describes as her “symphony orchestra”. They’re deliberately employed with a variety of backgrounds and skills, and include architects, engineers, interior designers, urban planners, landscape architects, architectural technicians, model makers, graphic designers, photographers and movie makers. Mecanoo’s projects are suitably diverse, ranging from the sober, neo modernist housing projects of the practice’s early days to the flamboyant, shimmering metal-clad Library of Birmingham. 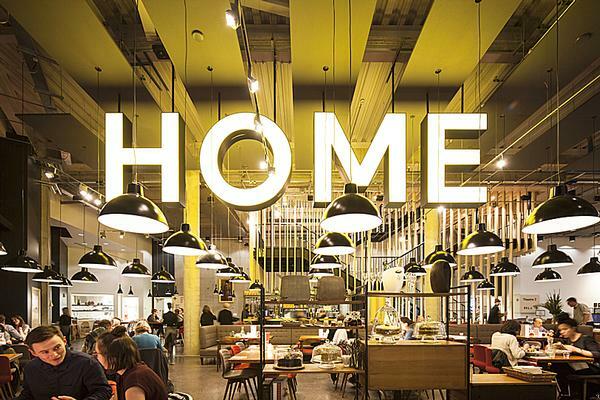 People, place, purpose sums up Mecanoo’s approach to architecture and urbanism, and is also the title of a new book published by the firm in November 2015. The book highlight’s the practice’s ethos of designing for people, and examines the effect time has on the function, or purpose, of buildings or landscapes. 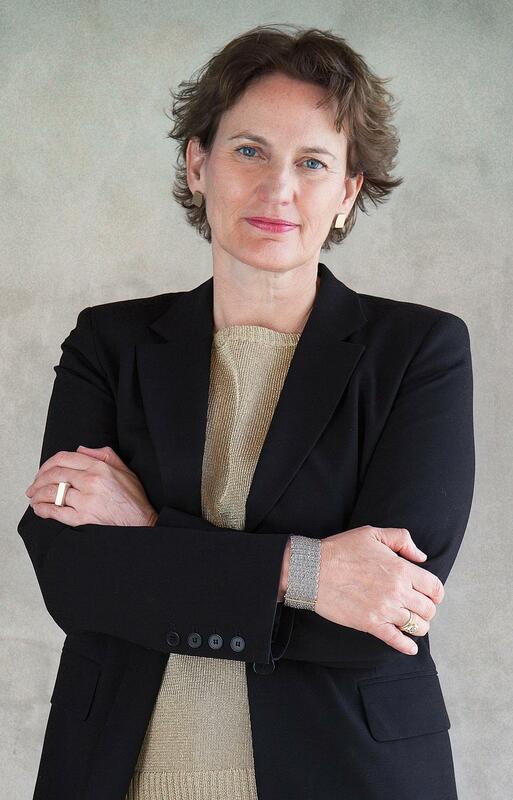 Houben believes strongly in “designing for unpredictable change” – accepting that the use of a building is likely to change in ways we might not be able to anticipate, and ensuring spaces are designed in a way that can absorb and accommodate those changes. One element that crop ups again and again in Mecanoo’s work is a particularly vibrant shade of blue. It’s the colour of a stage paint Houben first used in a theatre set design in the 1990s, and it can be seen in many of Mecanoo’s projects, as well as throughout the practice’s offices. 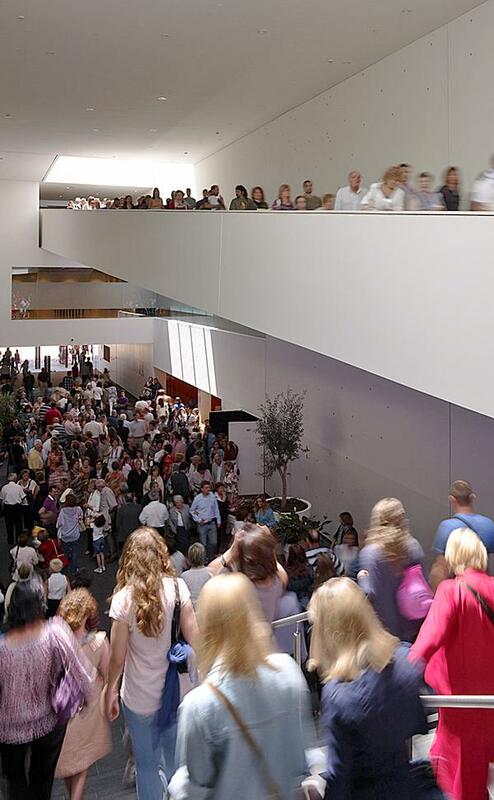 Houben has described libraries as “the cathedrals of our time,” and “the most important public building in a city,” so being selected to renovate one of the world’s most famous was particularly exciting. 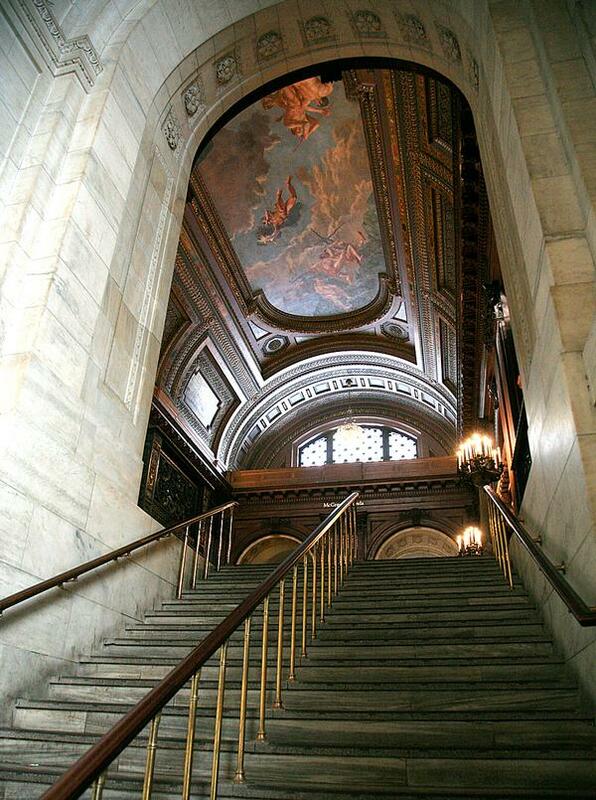 “For me, the New York Public Library is a symbol of all the libraries in the world,” says Houben. 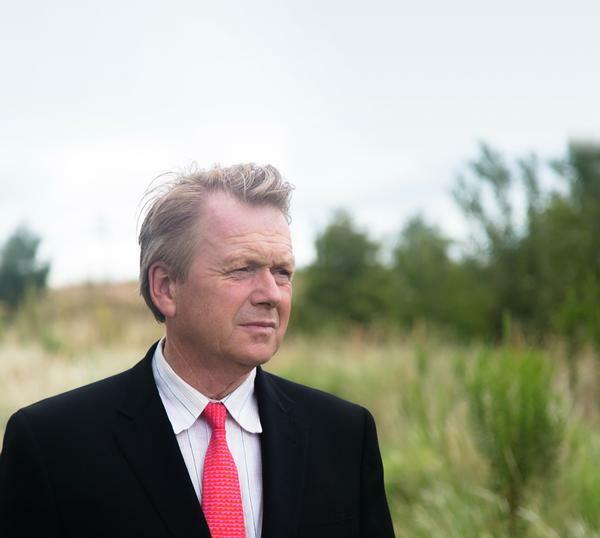 “It’s a library for everyone – for the whole melting pot that is New York society. 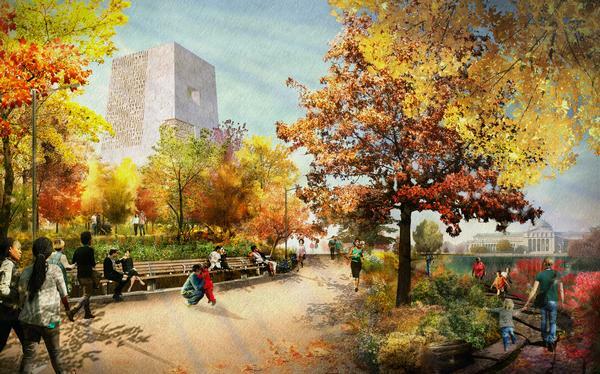 The project will start with the renovation of the Mid-Manhattan Library, which will house a modern circulating library, a business library, a large education space, and spaces for public programmes and classes. Construction is expected to start in late 2017 and be completed in 2019. Once renovation has started on that branch, work will start on the expansion of public space – by 42 per cent – at the Schwarzman Building on Fifth Avenue. Mecanoo already has several libraries in its portfolio, including the Delft University of Technology Library in the Netherlands, which helped to put Mecanoo on the map when they opened in 1997. 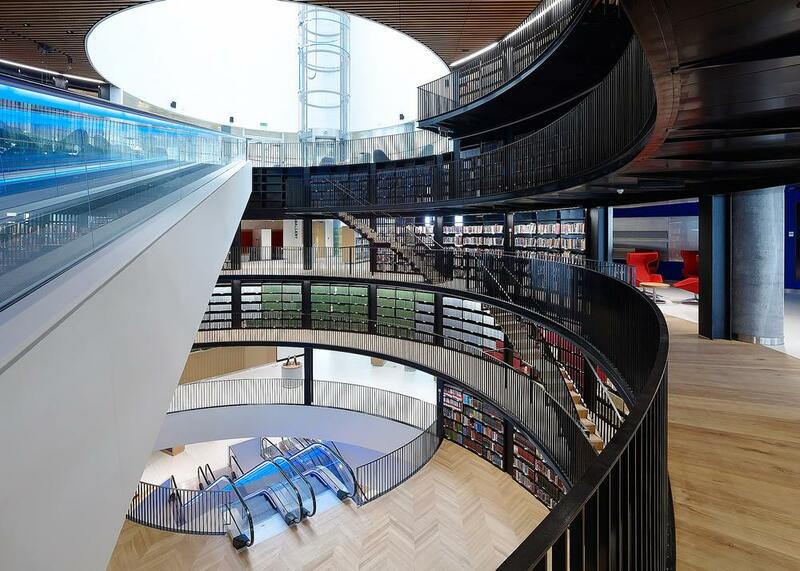 More recently, the practice designed the iconic Library of Birmingham – described by Houben as “a people’s palace,” which has won several awards and has been highly praised for its humanistic, accessible design. 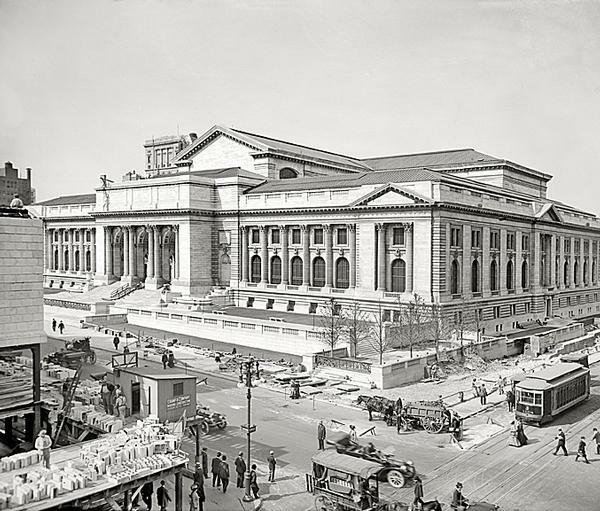 Houben has promised to spend much of this year in New York in order to work on the New York Public Library design process. The concrete, brick and glass building was Mies’s last project – and his only library – and was completed in 1972, three years after his death. 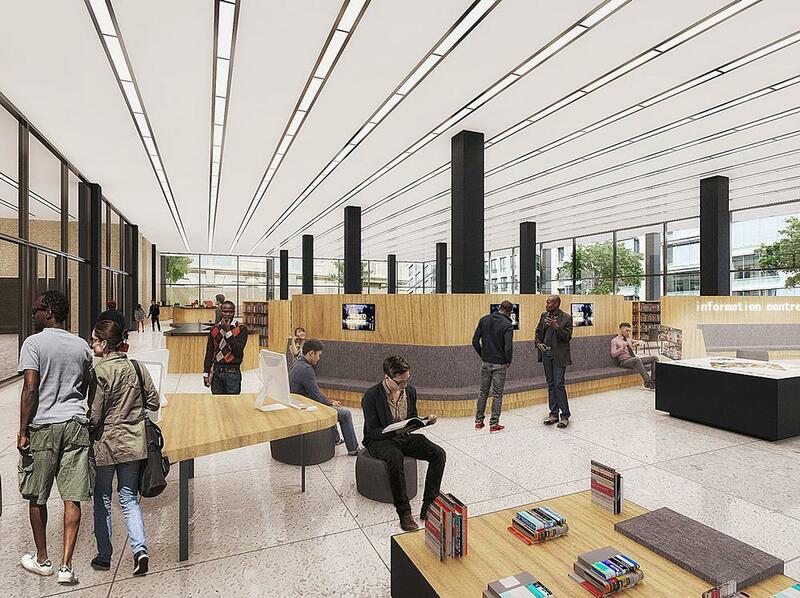 The renovation project sees Mecanoo working with local partner Martinez+Johnson Architecture to transform the library’s main entrance and two cores, turning them into focal points, creating new spaces and bringing more natural light into the building. The biggest challenge for Mecanoo lies in respecting the iconic building, while creating a library that meets the needs of 21st century users. I ask whether Houben finds the project daunting. 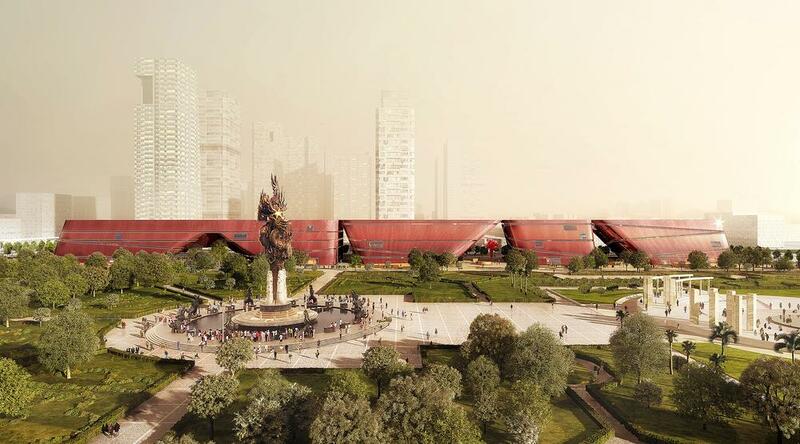 Another major project taking shape is the National Kaohsiung Center for the Arts in Taiwan. 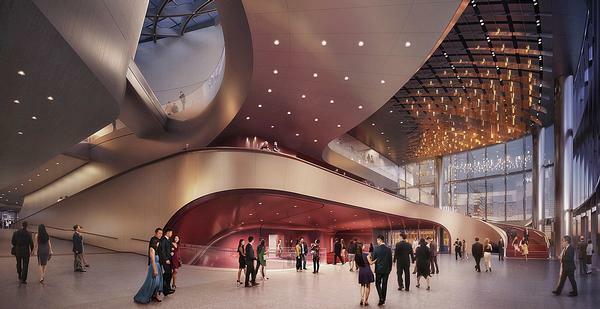 “It’s a huge cultural complex featuring an opera house, a concert hall, a recital hall and a playhouse in combination with a huge open air theatre and a small library,” says Houben. The centre is an open structure, designed with Kaohsiung’s tropical climate in mind, with a theatre on the roof. The other theatres and halls are housed in the building’s four cores, or ‘trunks’, and the wind is able to blow through the centre of the structure. The project should be completed in 2016, and will be officially opened in 2017. 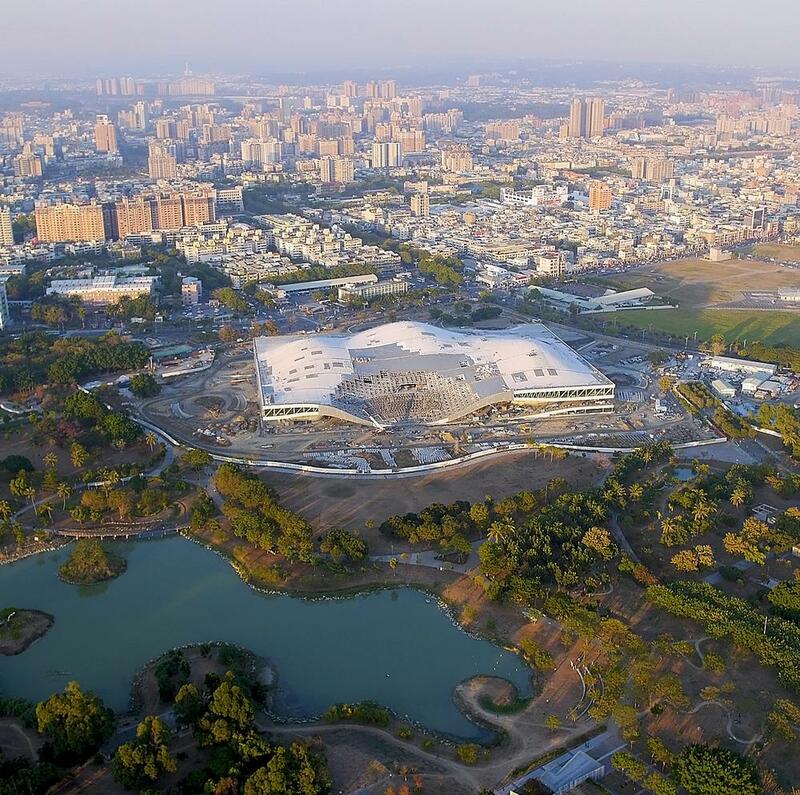 Work is also underway on Mecanoo’s first Chinese project, Three Cultural Centers & One Book Mall, in Shenzhen, in the Guangdong Province. The complex includes a public art museum, a science museum, a youth centre and a vast bookshop, and is due to open in 2017. 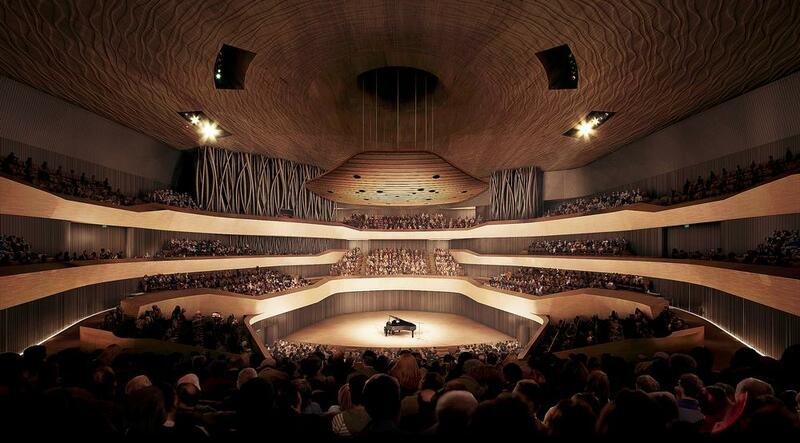 Which architects and designers do you admire? I was always very impressed by the work of Charles and Ray Eames. I have met them, especially Ray Eames, several times. I was also impressed by the Brazilian architect Lina Bo Bardi, who did a lot of work heavily based on local culture. I worked with Álvaro Siza in the 1980s because we were his local architects for a project in The Hague. He had a very free form approach. For me, coming from a more rational educational background, I found that way of working gave me a lot of freedom. I met Toyo Ito in 1985 when I was in Japan, and found him very inspiring and I’ve also always admired the work of Alvar Aalto. I’m often inspired by people working in other disciplines. I’ve been working with theatre directors, which has opened my eyes to new ways of dealing with light and colour. I also worked with the late Dutch astronaut Wubbo Ockels – we talked a lot about innovation and energy. What makes you happy? What makes you angry? I’m always happy. I only get angry if it makes sense to get angry; if the energy of anger helps me to change something or do it better. I don’t become angry about things I cannot change. That doesn’t make sense. Not enough. Sleeping. I like biking and swimming. 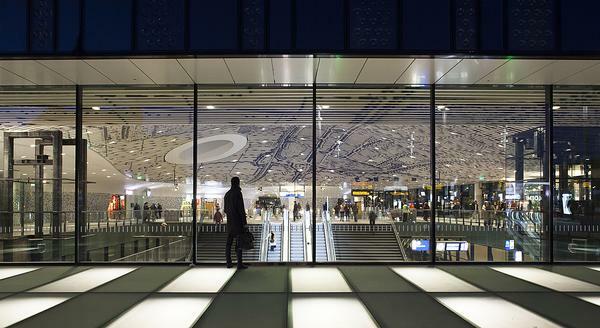 Delft’s new train station, designed by Mecanoo, opened to the public in February 2015. The building sits above a new tunnel, which has replaced the concrete viaduct that has effectively split the city in two since 1965. 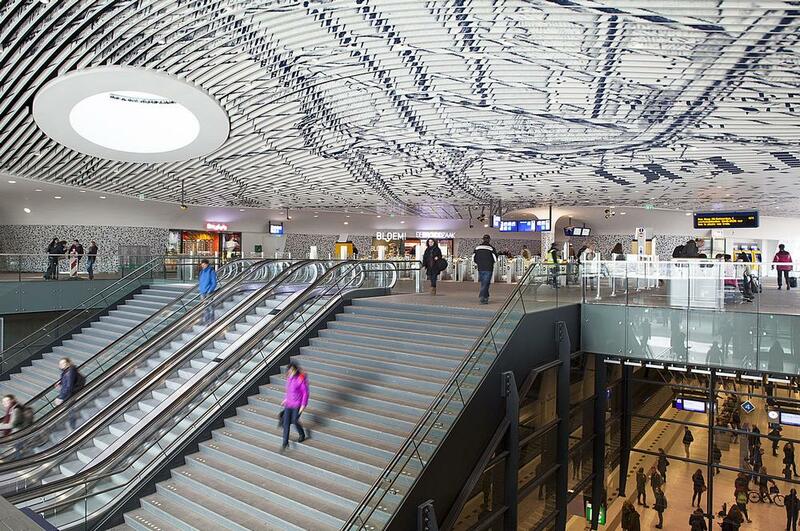 Ascending the escalators into the main station hall, travellers are faced with a vast vaulted ceiling featuring a historic map of Delft. Walls and columns are covered in a contemporary reinterpretation of the famous Delft blue tiles. The Station Hall is integrated into a new City Hall and Municipal Offices building, also designed by Mecanoo, which is due to open in 2017. Mecanoo set out to design a new building for Amsterdam’s Schiphol Airport that would serve as a beacon for passengers flying in and out of the city. 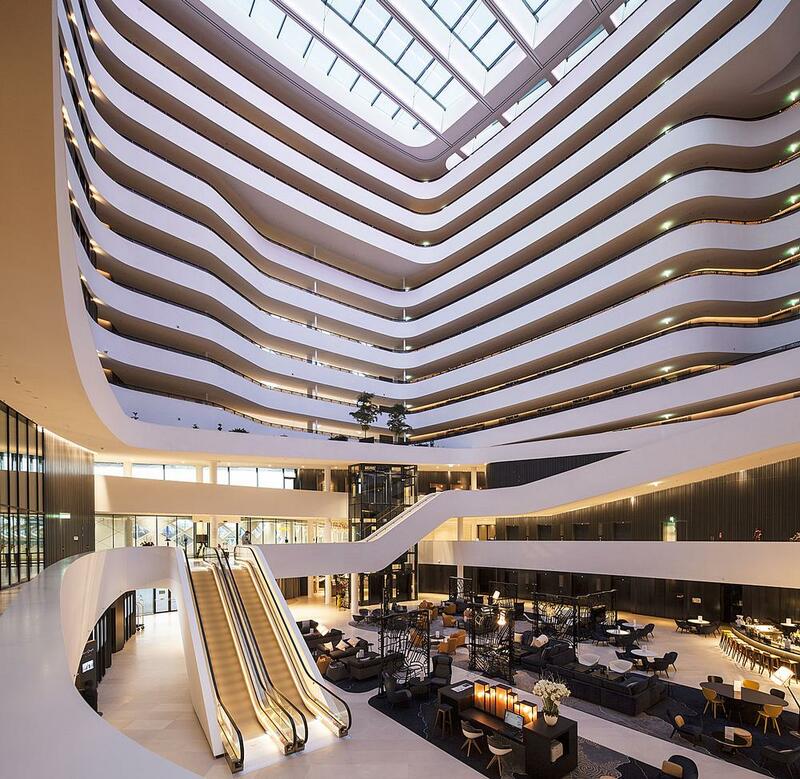 The 433 bedroom Hilton Amsterdam Airport Schiphol is instantly recognisable, with its cube shape and distinctive diamond patterned façade. The hotel is arranged around a huge atrium, which is flooded with natural light via a vast skylight. A covered walkway, with the same diamond patterned exterior, connects the hotel to the airport. 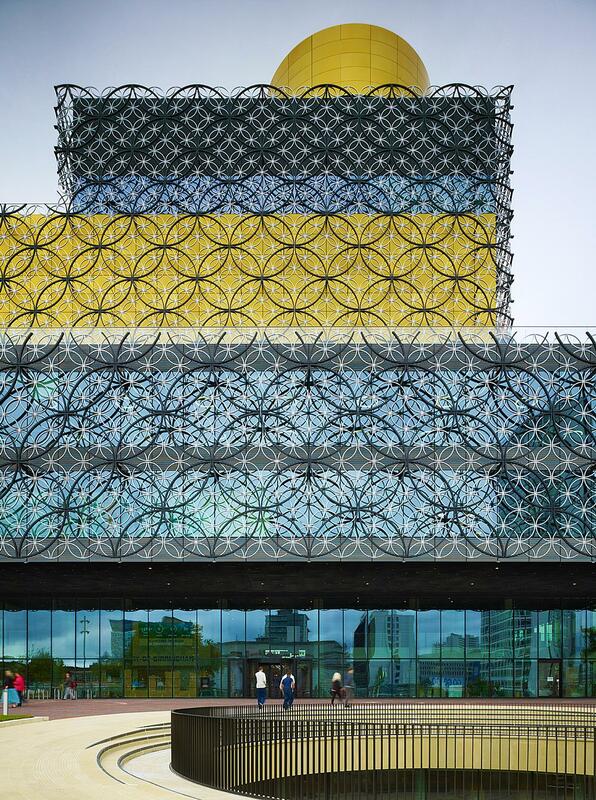 Opened in September 2013, the 35,000sq m Library of Birmingham integrated with the REP Theatre is one of Mecanoo’s highest profile buildings of recent years. It is comprised of a series of stacked blocks which create a range of spaces inside including a children’s library, a circular courtyard and rooftop rotunda housing the Shakespeare Memorial Room, which dates to 1882. 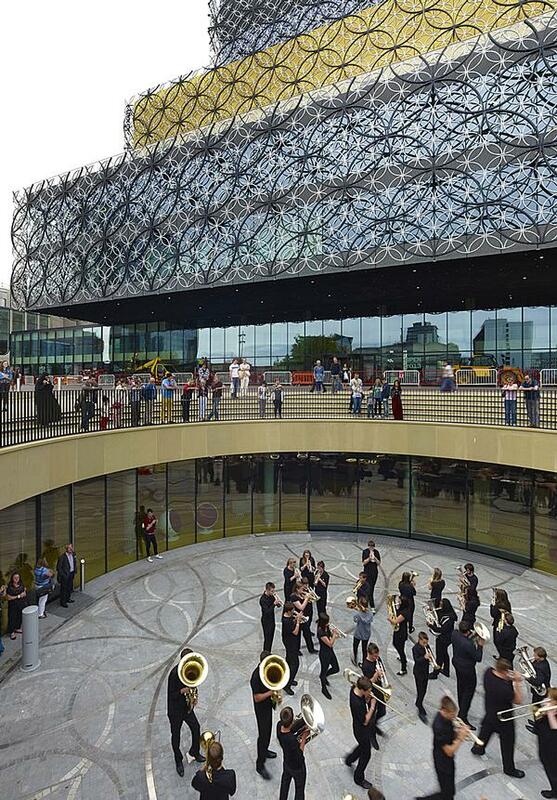 The exterior is made up of a delicate metal filigree skin of interlocking circles over gold and grey façades, referencing Birmingham’s jewellery manufacturing history. The library was nominated for the Stirling Prize in 2014 and has won a range of awards. 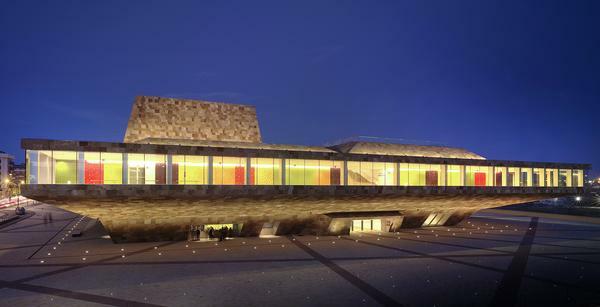 This theatre and conference centre in Catalonia, Spain, opened in March 2010 and features a 1,000 seat theatre, two congress halls, an exhibition hall and a restaurant and lounge. It’s a low, monolithic building, divided into six levels and with a solid façade of natural stone. Inside it’s sleek and modern, with white plastered walls and marble or wooden flooring, and bright details throughout the building. The main theatre is distinctive, with ‘trees of light’ cut out of the dark wooden walls. 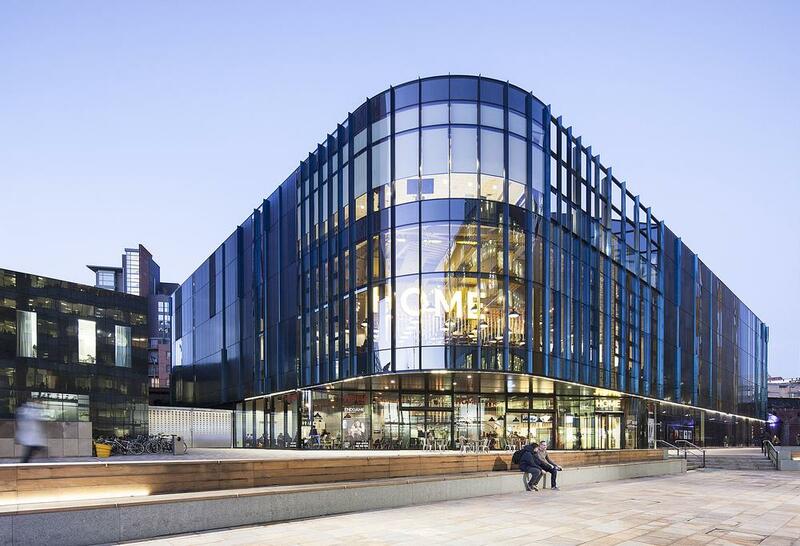 The opening of the £25m HOME arts complex last summer brought a major new arts centre to Manchester. The triangular dark-tinted glazed building houses five cinema screens, a 500 seat main theatre, a smaller 180 seat theatre and an art gallery, plus a bar and restaurant. The shape of the building was determined by the triangular site, sandwiched between a hotel tower and a multistorey car park. The interior concept is based on an urban living room, according to Mecanoo, with the aim being to create a sense of warmth and intimacy. Concrete floor and walls are softened with warm oak and splashes of colour. “This building is named HOME, and that’s really how it does feel to me, like a home in Manchester,” says Houben.